Post Hill Press, 9781642931006, 240pp. A powerful look at the real-life heroes and heroines who have changed the world using social media to advance the cause of human rights and dignity. Human Liberty 2.0 showcases the inspiring stories of teens and adults channeling the power of digital and social media in order to make the world a better place. Rather than perpetuating negative online practices like trolling or bullying, ordinary individuals have found creative ways to use the internet to shine the light of hope, compassion, and freedom into some of the darkest recesses of our society and world. These largely unsung heroes and heroines of the Digital Age are advancing the cause of universal rights in new ways at home and abroad. Both young and old, these digital Good Samaritans exemplify the internet at its best—as a tool for engaging us all in the promotion of our common human dignity, even across boundaries of geography and culture. Like Chicken Soup for the Soul but with a modern, digital twist, this book includes over two dozen true stories guaranteed to uplift and inspire. 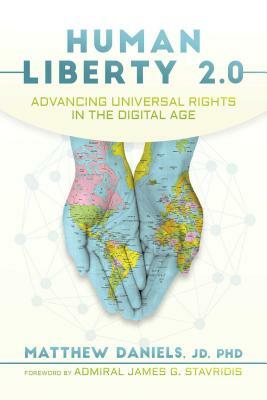 Readers will discover how they can participate in the Human Liberty 2.0 revolution and follow in the footsteps of these inspiring adults, teens, and children who are truly the best of humanity…both online and off. Author Matthew Daniels, JD, PhD is a law professor and social entrepreneur who teaches law and human rights on three continents. He holds a Chair of Law & Human Rights at the Institute of World Politics in Washington, DC as well as academic appointments in the UK and South Korea. He is also a digital media producer who has been a leader in promoting universal rights through digital video and the creative educational use of other forms of digital and social media.